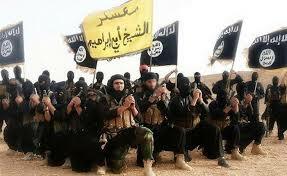 ISIS Influence Growing In The United States — What Does The Bible Say About This? Recruits are being draw in by ISIS online messages. They are using popular hip-hop music and videos. Images of handsome fighters and promises of homes and security — to sell a false version of life under ISIS rule. With Skype, Facebook, Twitter and other social media, the FBI estimates the Islamic State is posting some 50,000 messages every day. Does the Bible say anything about this: that young people more and more are becoming interested in joining a group like ISIS? Yes. The Bible says that in the last days there will be many false prophets that will deceive many (Matt. 24:11). ISIS leaders are false prophets! And they are deceiving all those whom they are recruiting with their false messages. The Bible says that because lawlessness will abound, the love of many will grow cold (Matt. 24:12). This lack of love is described well in 2 Timothy 3:2-4. For men will be lovers of themselves, lovers of money, boasters, proud, blasphemers, disobedient to parents, unthankful, unholy, 3 unloving, unforgiving, slanderers, without self-control, brutal, despisers of good, 4 traitors, headstrong, haughty, lovers of pleasure rather than lovers of God. This to me is very descriptive of ISIS! Yes, we are living in the last days. Jesus is coming soon to rapture true believers to Himself and to judge the world of sin. This entry was posted in 2 Timothy 3:1-5, Bible Passages on Prophecy, Indicators of His Coming, Matthew 24:11-12, Prophecy News with Comments, Prophecy Topics, Rapture, Sin and Rebellion, Wars and Terror and tagged CBN News, false prophets, ISIS, Jesus is coming soon, lawlessness. Bookmark the permalink. 2 Responses to ISIS Influence Growing In The United States — What Does The Bible Say About This? Let us prepare ourselves for Jesus return! Yes. What can we do? Be pure? Be kind? Be thoughtful?